Economic Stimulus for Artists and Dreamers!! Occasionally, I check my blog dashboard to see if anyone is visiting it. Some days I have 20 views. Some days I have 1. Some days I have zero. On the busy days, I wonder who it is that is visiting this site. Please leave a comment! I would enjoy hearing from you. Years ago, I wrote about a gas meter. I was 34, a new mother, working part-time. During the first year of my daughter’s life, wanting some way to listen to my imagination despite the complex stresses of that time, I gave myself the assignment to write monthly about one small square foot of earth in a narrow strip of land between the driveway and my house. I felt a loss of freedom for time spent other than at work or caring for an infant, and I hoped that this writing exercise would affirm for me, that even in the smallest, most ordinary, most easily overlooked of spaces – and moments – I would find a simple connection to the surrounding universe. These hopes were realized with each month’s writing. I wrote about a pansy that bloomed there mid-winter, frozen water in the downspout, a pomegranate that rolled from the compost pile, the gas meter against the side of the house, morning glories sprouting from last year’s seeds, my daughter’s first steps tottering toward me. Yet these writings also always contained painful acknowledgements of how exhausted and poorly nurtured I felt. 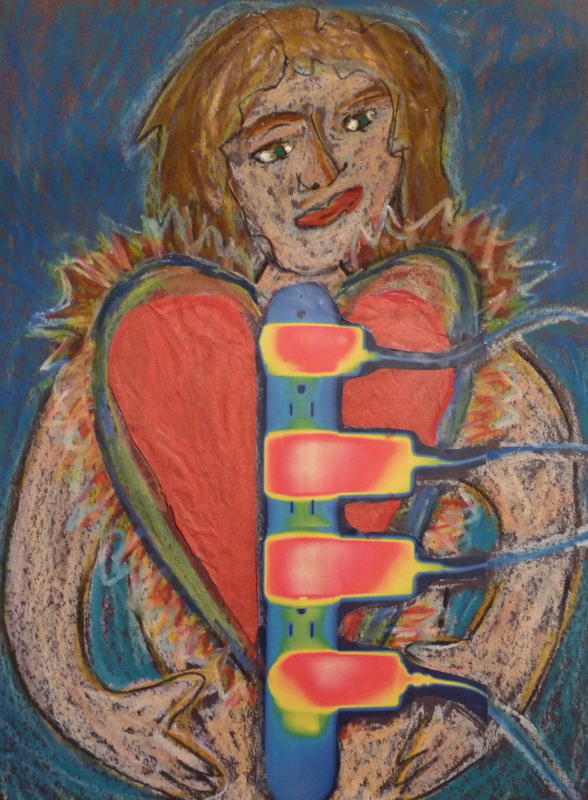 And when I wrote about the gas meter, I imagined, with longing, a meter connected to my heart, that measured precisely the physical and spiritual energy that I expended and that was – or was not – replenished in my relationships at work and at home. I heard the gas meter say to me fiercely, “This is what is being given away! This is what it costs! This is how much you receive! And this is what you truly need!” In my imagination, I saw the gas meter transform from a rusty, inanimate object into a wise and loving creature that touched my heart with compassion. And, while I could not say what it was that I truly needed, I began to understand that I was giving away more than was healthy for me, and that I needed far more than I allowed myself to want, let alone claim. Writing about that gas meter was a powerful experience of how strongly the archetypal beings of the imagination call us to right what is out of balance, to serve what is truly valuable, and to not waste our lives. After writing about the gas meter, I entered a period of life in which I gradually came to accept what most of us come to know as we turn toward midlife: that our energy is limited; that how we chose to spend our lives will demand of us just that, the spending of our lives; that life is a precious fuel, a limited resource, only partially renewable; and that such renewal of our life-energy can only come with care, conscious effort, intentional living, and commitment to a generous spiritual practice. For me, carefully listening to and responding to the archetypal imagination is the most generous spiritual practice I know. As I wrote about the gas meter, I did not know that what I truly needed would require me to leave, first, a job at which I was burning out, and, then, my unhealthy marriage. But, as I did those things, I sensed in my heart a wise and compassionate presence through which I learned I could gauge my spiritual, emotional, and psychological energy. I know now to listen to this presence, this “inner gas meter, and have come to trust it. If some opportunity feels too taxing, too depleting, too draining before I even begin it, I say no to it. If something in my life starts to feel deadened or out of balance, I find ways to rebalance, or to let go of what is finished. If I feel energy for other pursuits, even if they do not seem immediately practical, I follow my excitement for them and give them space in my life. And through these choices, I find, and trust I will keep finding, relationships, ways of working, ways of living that nurture and energize both myself and others, that protect and inspire imagination. Art meditation suggestions: 1) Choose one square-foot of land close to your home and write periodically about what you see there. 2) Draw an energy map of your life, showing how your spiritual, emotional, and physical energy is being spent and renewed. 3) Sit next to your gas meter. Write a dialogue between it and some part of yourself, such as your heart. Once a month, on Friday, come to the studio to slow down, create, reflect and renew by exploring specific art forms (such as storytelling, masks, dream tending, poetry, music, mosaic, printmaking, etc.) in a community setting. Or, once a week, on Monday evenings, come to the studio to create, reflect, and renew by practicing a variety of art meditations with others! Now is the time of year that we hear talk in the media of New Year’s Resolutions to loose weight, stop smoking, exercise. This is all well and good, but I often feel that talk about resolutions often includes focus on faults, guilt, and superficial appearances. To me, being healthy includes living with compassion, creativity, and in rich relationship with myself and others. And so, instead of making resolutions to change my flaws, at the beginning of each year, I like to think about what my creative life is calling me for and to give myself the gift of following that longing in some small and attainable way. For instance, one year I realized I had been reading only non-fiction about the environment and that this had been enlightening. But I was hungering for more playfulness and hope in my reading, so I chose to devote a year to reading fiction again. This choice wasn’t a rigid choice. If a non-fiction book that was truly inspiring came across my path, I read it! But I also had a great time reading fiction, exploring new authors, and found that my own creative writing came alive in new ways. 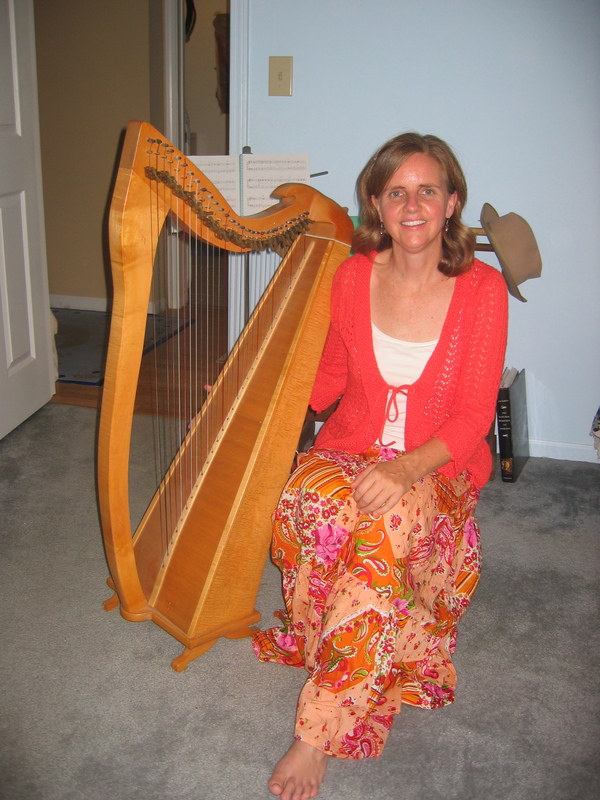 Last year, I decided to take some risks playing my harp and singing – in front of other people, no less! I am still limited by “stage-fright” musically, but last year brought some progress and I am more in love with music because of it. This year, I am feeling pulled toward poetry and journaling again, and I especially want to explore creating a multi-media journal with images, writing, music, interwoven.I feel unsure of how to do this, so haven’t started yet. Hopefully, some of what occurs in this effort will make its way onto this blog. What are you feeling creatively drawn toward? What are some of your creative resolutions for this year? 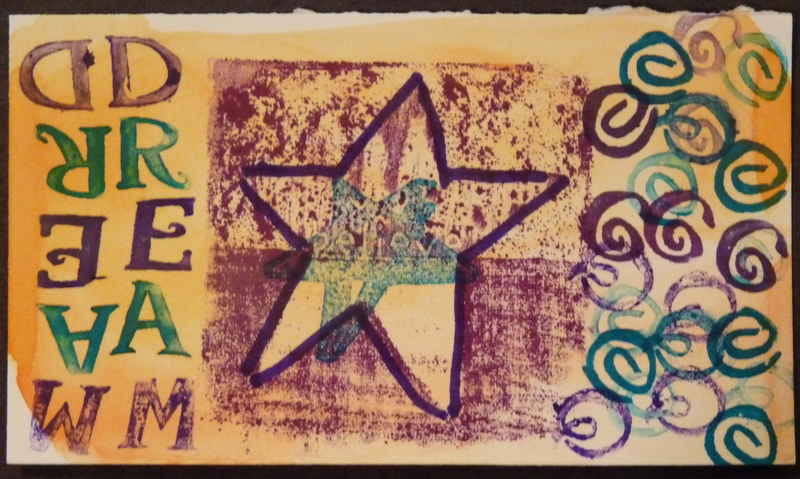 You are currently browsing the Expressive Art Therapy and Dreamwork with Liza Hyatt weblog archives for January 2010.